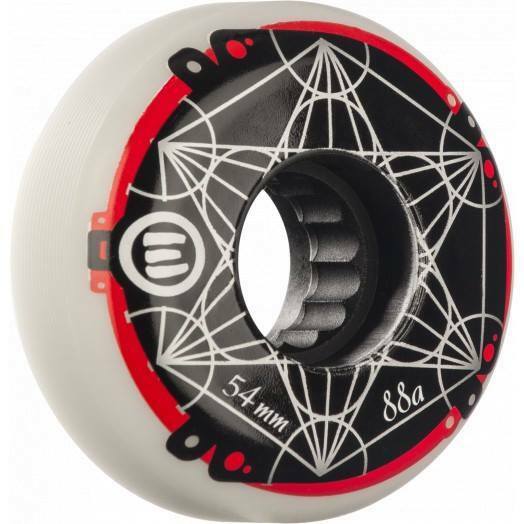 The Metatron wheel comes in 54mm and 88A. 1 set with 4 wheels and 4 alu-spacers. Get more infos about aggressive skate wheels here.